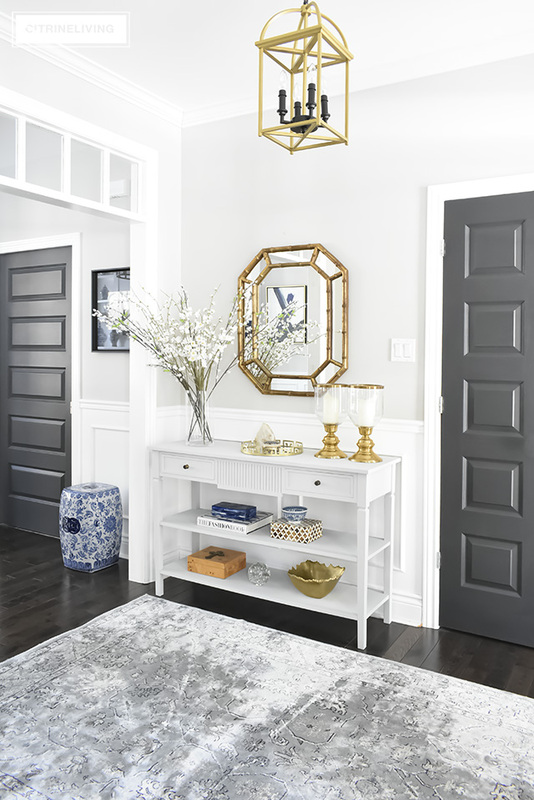 I get so many questions about where I shop or who makes certain items – I’ve shared some lighting with you HERE and stool options HERE in previous posts but today I’m sharing some of our family room accessories and how I’ve styled them. Styling your accessories, in my opinion, is very personal. 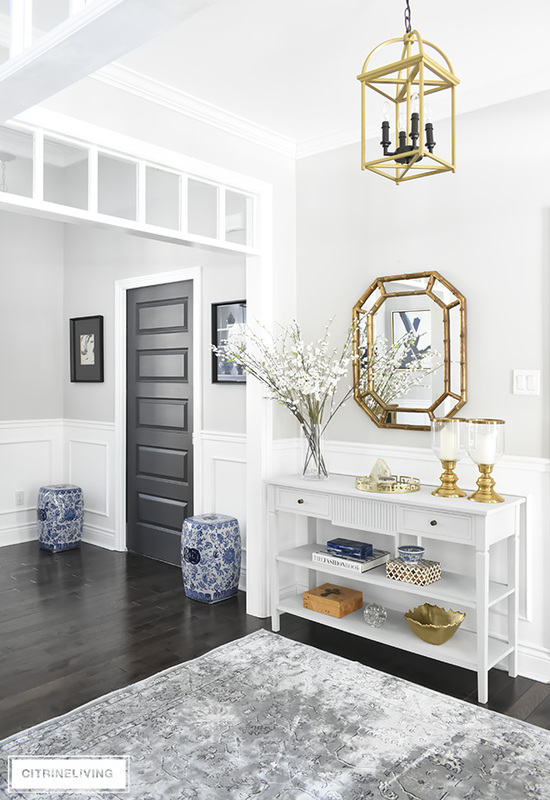 There’s not necessarily rules to follow, but you can use certain guidelines, or design principles when you’re creating displays or vignettes. For example, grouping in odd numbers always works. 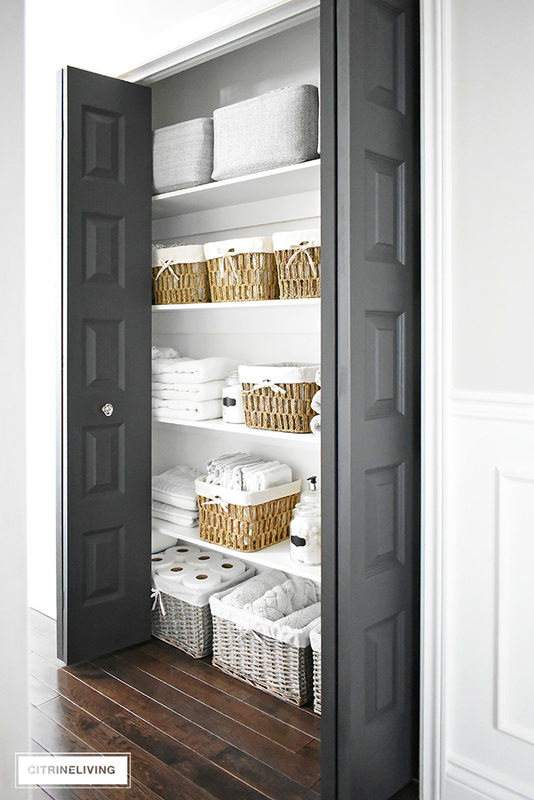 Using like items together, or displaying accessories in varying heights is a no fail solution. For me, I go with the things I love (I’m always telling you to do the same) and I work them until I’m happy. That doesn’t mean they stay that way forever! Sometimes I will leave something the same for months, other times it gets changed up weekly. Read on for some examples and shopping links. 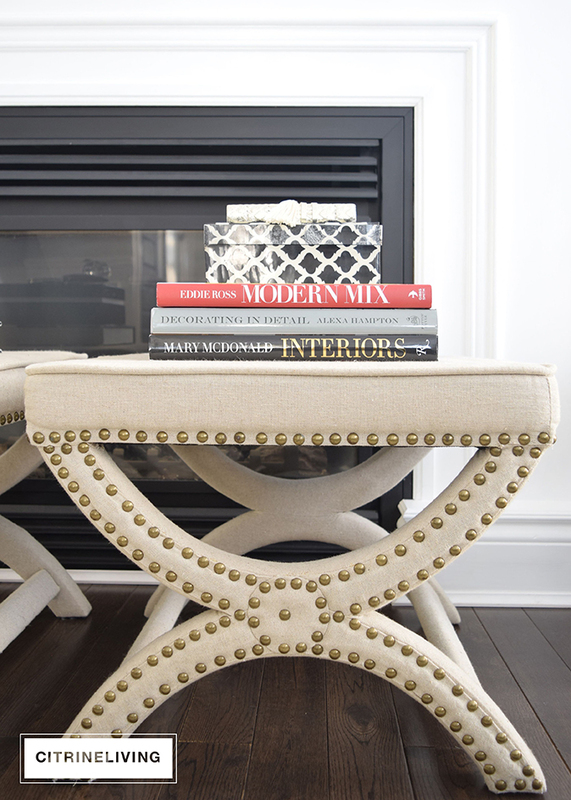 I use books to decorate and to create interest all over our home and our ottoman coffee table is no exception. Many of them here are blue which connects to the fabric I used to recover this piece last summer. You can read more about that HERE. Naturally, I wanted to keep the theme going so I pulled together some more of my favorite blue accessories, and added a couple of new ones as well. You can never go wrong with coral in any decor. You don’t need an ocean front home to have some! 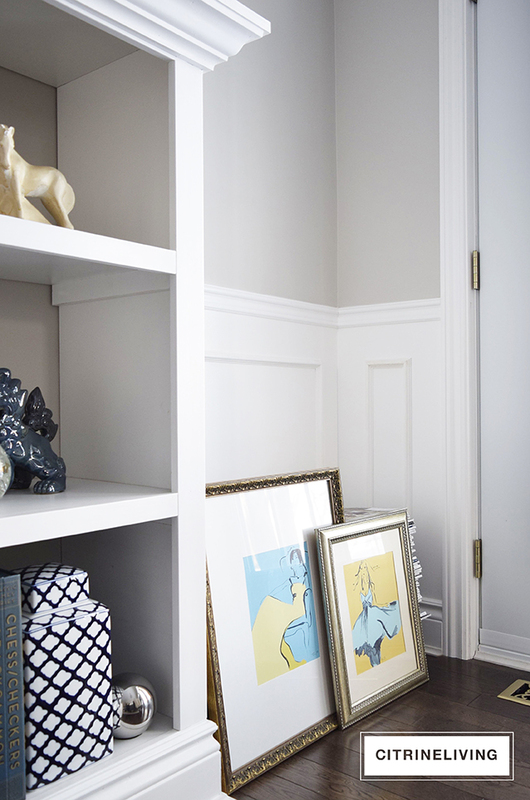 I love it and have beach inspired touches throughout our home – and we live a northern climate! You can shop some fabulous coral pieces HERE and HERE. You can see how I pulled the color scheme together here by adding layers of blues. They don’t need to all be exactly the same! It’s a complete misconception that colors have to be identical in one space. Not that there’s anything wrong with that! 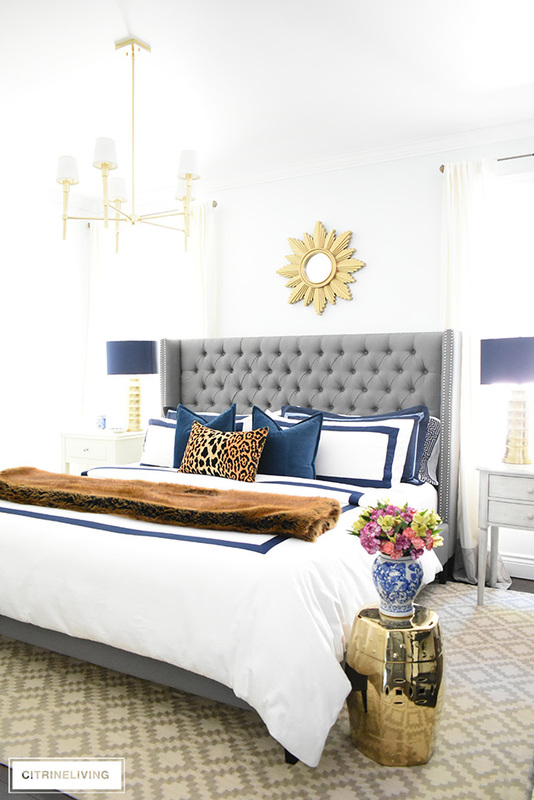 This is just an example of how you can achieve a cohesive look by mixing hues. 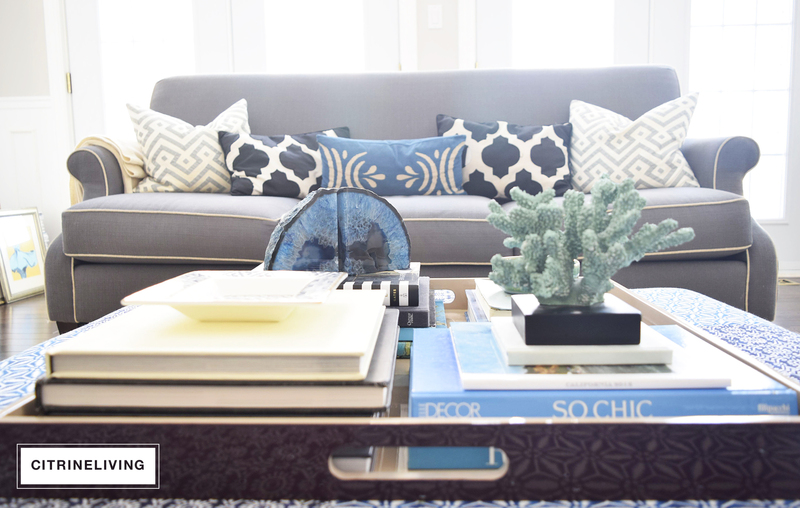 Look at all the varying shades of blue I’ve used in this room. 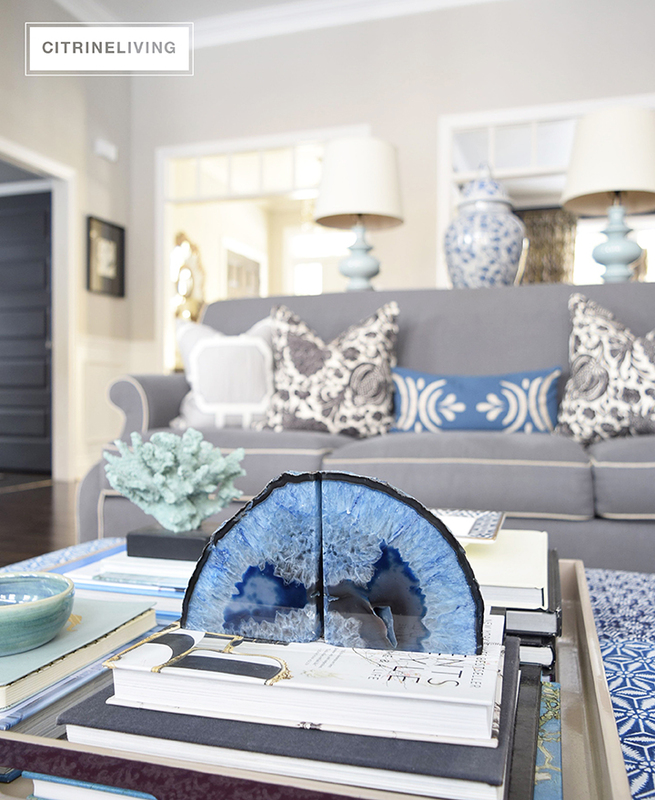 They all go together beautifully…here’s a tip – different blues don’t clash – they all work together. Hard to imagine turquoise and periwinkle together, but they do work! Think of your favorite denim…anything goes. 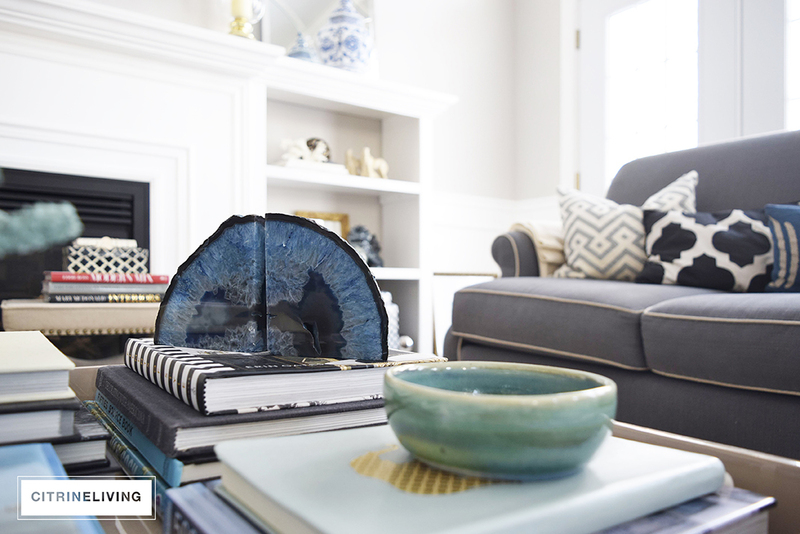 Are these agate bookends incredible or what? I like using them as art or sculpture rather than actual bookends. 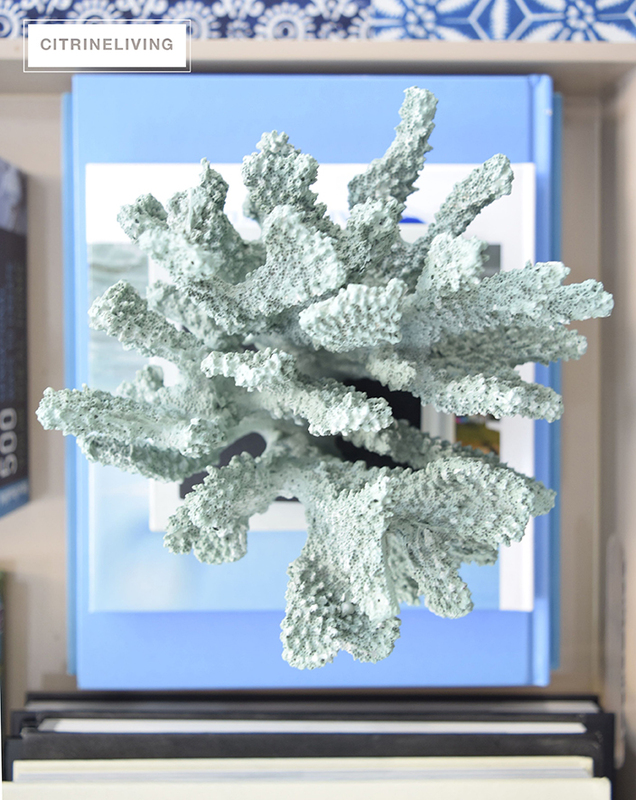 They’re incredibly beautiful and bring more natural elements to a space, like the coral does. You can find some exquisite ones HERE and HERE. See all the different blues? From navy to light aqua they all work together. 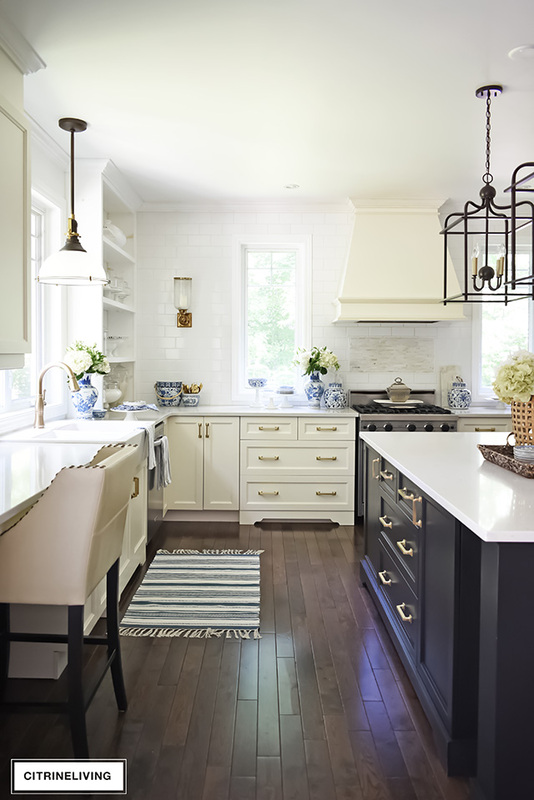 I love building vignettes with small dishes and bowls like the ones pictured above. Look in thrift stores and yard sales for unique pieces. And don’t be afraid to shop the liquidation section in your favorite stores. You can score amazing pieces like my navy patterned dish I got for a steal. You can find some beautiful ones for a good price HERE and HERE. 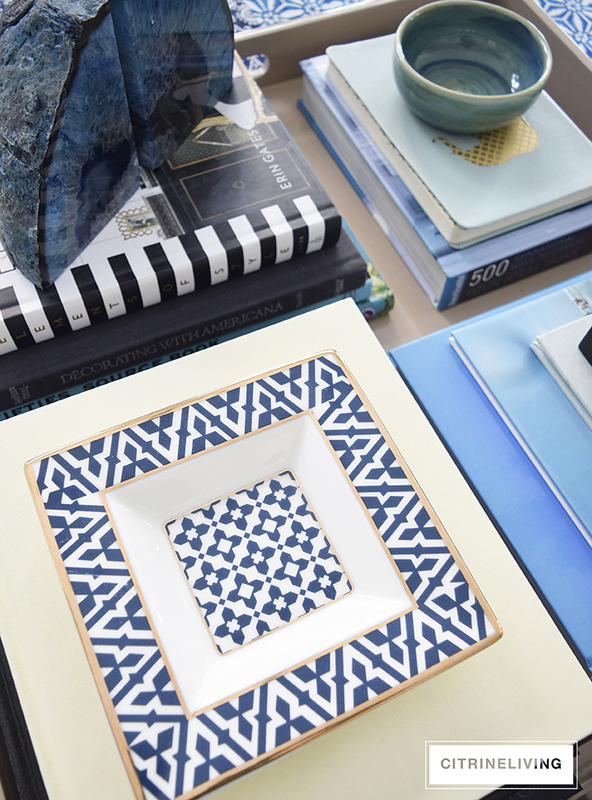 This is another example of how I like to use books for stacking and showcasing beautiful things like this Moroccan tile motif box. 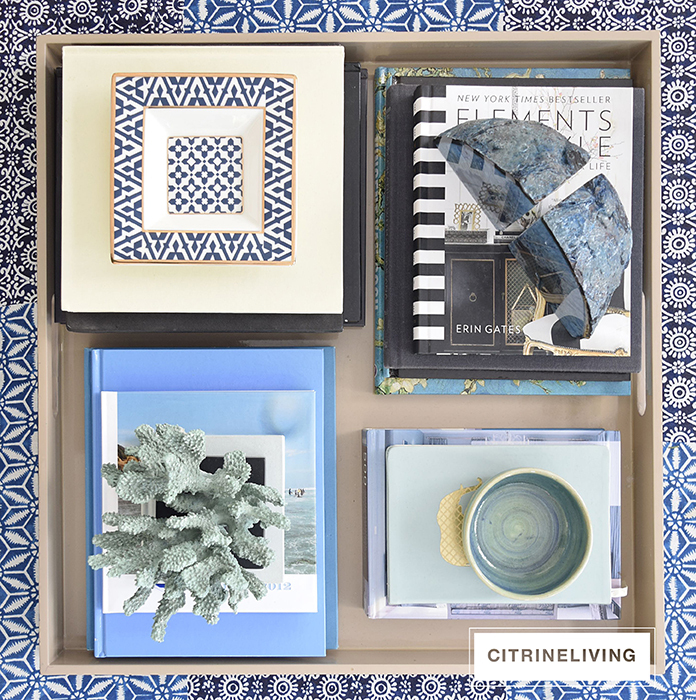 Boxes are fabulous for propping accessories, or beautiful simply on their own as well. Check out THESE boxes as well as THESE ones, that I found to achieve almost this exact look. 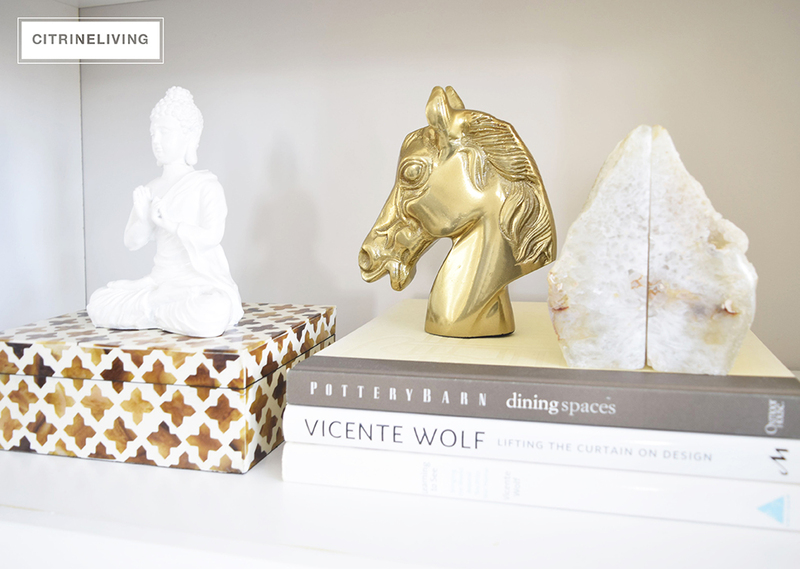 Another box and more agate – I love how they compliment my brass horse’s head and buddha. Another example of using unique pieces and grouping them together. 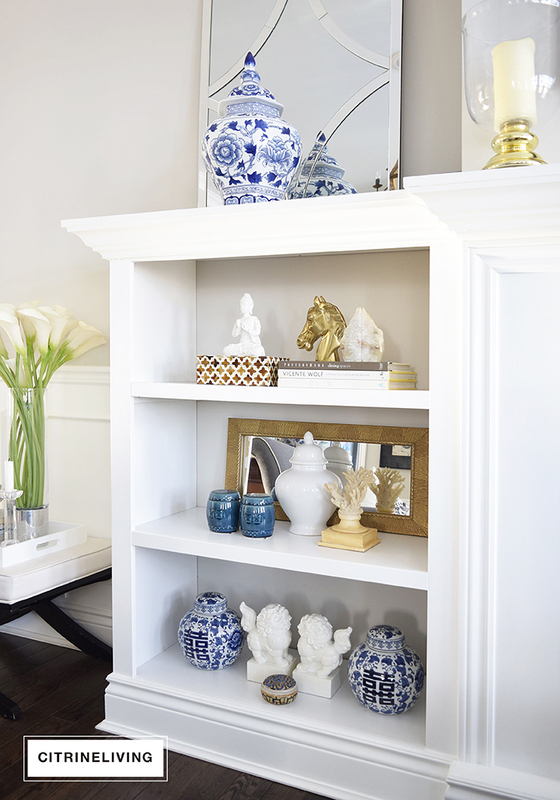 This shelf is all natural, earthy tones and is balanced visually with a shelf on the opposite side. I didn’t want every surface to have blue – that would have been too much. So I chose to temper it with some neutrals that would recede, rather than pop and compete for attention. You can see what I mean by that in this photo. My mini ginger jars used to be on the ottoman, but moved here when I swapped them out with the agate. I propped up this mirror behind this grouping to ground it. I did the same on the opposite shelf shown in the photo below. Notice all my ginger jars? If you’ve been following along with me for a while now, you know how I love these! I also love my white one, which is a classic silhouette. I found almost the exact same one for you, a little larger, HERE. You can also find some gorgeous blue and white ones HERE and HERE. This is the other side. Notice that the top shelf balances out with opposite one, as do the other shelves below. My garden stool is conveniently hiding unsightly stereo equipment that is there right now! I also have a thing for garden stools, which I can never ever have enough of! Blue and white ones are on my list next! I wrote a previous post about my collection, which you can find HERE. Next to the bookshelves is a subwoofer for the sound system and stacks of my shelter magazines. You can read an older post about how I styled these last spring, HERE – you’ll see a lot of similarities! You’ll also get an idea as to how the space is fresher looking now with more blues added throughout. I’ve used my own artwork (which I have a collection of for sale HERE) propped up against it all. 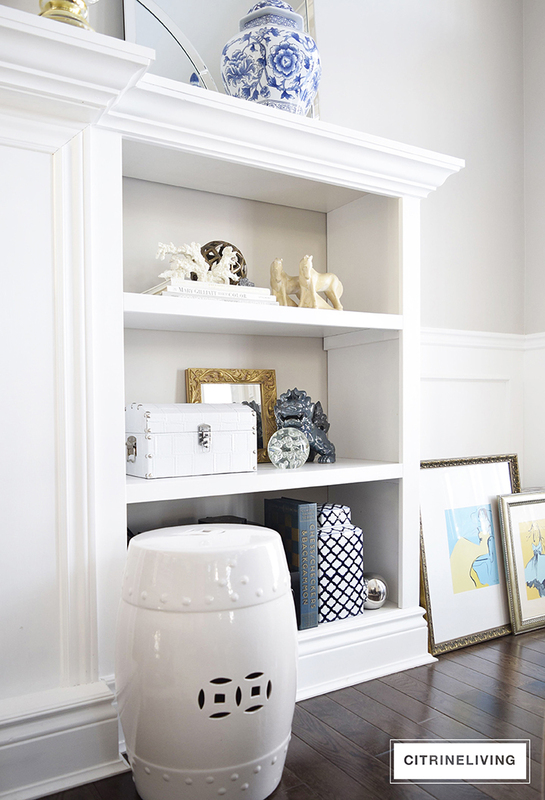 I love leaning art on floors and shelves as a more casual approach. They also move around to different spots occasionally. These used to be in my kitchen – you can read all about my kitchen tour HERE – although I may do a new tour soon with better pictures and source links for you! Beautiful ideas, Tamara! I love the agates that you treat as artifacts not bookends! Lovely! I love the agate you’ve incorporated! So timeless! Thank you for visiting and thanks for your kind words! 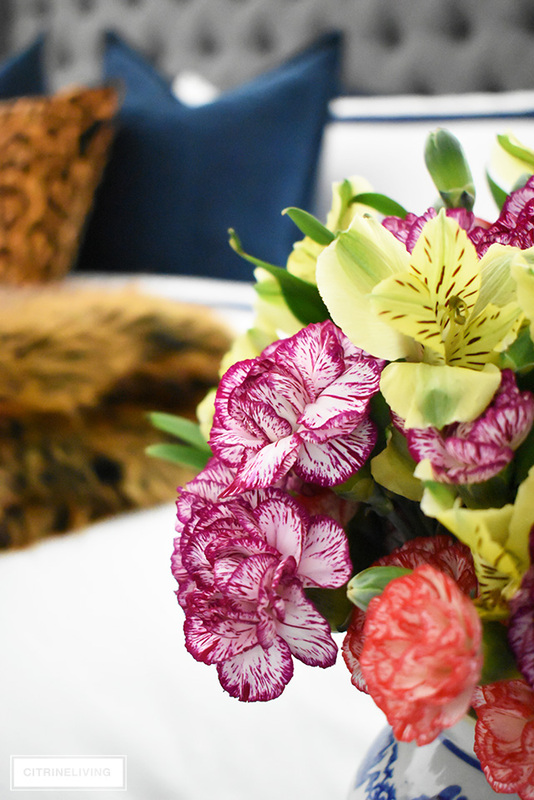 I love it too – it is timeless and the natural element it adds is always a sure thing! I have blue in my living room. Glad to know I can mix blues. Gives me more options! You absolutely can! I’m so happy you found inspiration! Thanks so much for stopping by!